The Electro-Motive Division's SD24 began the company's entry into the manufacturing of second-generation diesel locomotives. Interestingly, while the model offered new features it kept many of the standard features of the early first-generation Special Duty locomotives like the SD7, SD9, and SD18. It had yet to feature the new Spartan Cab design and stuck with the tapered nose of the SD18. 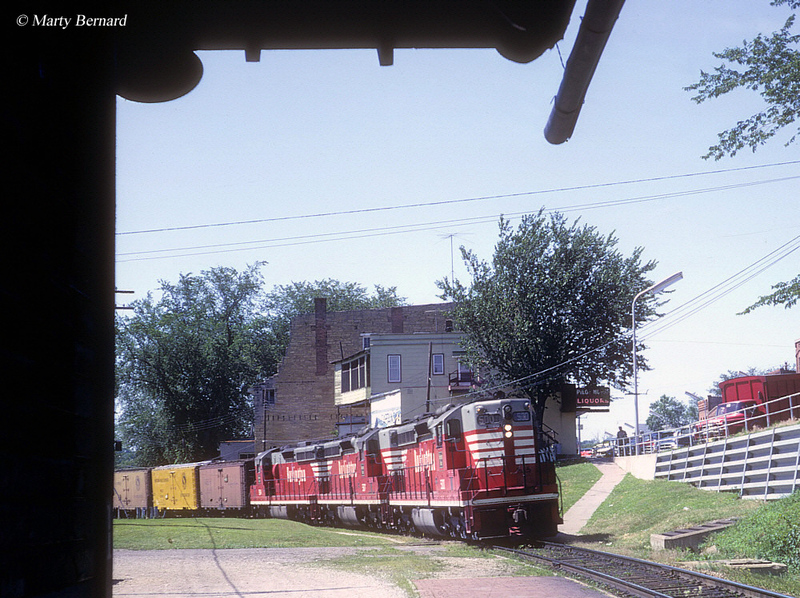 All of this would, change, however, when EMD released the SD28 in 1965. In any even, the locomotive saw modest sales although just a handful of railroads would buy it with most orders taken by the Atchison, Topeka & Santa Fe Railway (the Santa Fe). The SD24 was also the only six-axle model to have cabless B units built. Today, none are known to still be in use for freight service although regional Pan Am Railways keeps two rebuilt as SD26s stored. Also, two others are known to be preserved, Chicago, Burlington & Quincy #504 is completely restored at the Illinois Railway Museum while the National Railroad Museum has CB&Q #510 partially restored. The SD24, which debuted in July, 1958 and remained in EMD's catalog through March, 1963 was one of the company's rarer designs that did not sell particularly well in comparison to the early Fs as as the GP7 and GP9. However, it is featured here primarily because of its significance as EMD’s leap into second-generation power for six-axle locomotives. The unit was virtually identical to her GP30 (B-B trucks) sister in most aspects except that she carried 2,400 hp instead of the GP30’s 2,250 hp. For instance, the SD24 featured the very same 16-cylinder 567D3 and featured an airtight hood that kept out dust, dirt, and other particles from reaching internal components (to cool these critical components the SD24 featured a single air intake for electrical cooling, with a pressurized cooling system). It was these latter features that, in particular, classed the locomotive as a second-generation design. The SD24's primary purpose was that the extra two axles produced more traction (which allowed the locomotive to handle stiffer grades), allowed for better weight distribution (which was a big plus on light rail and bridges unable to support heavy loads, found on many branch lines) and its Flexicoil trucks allowed for ease of maintenance on its center traction motor. Another significant difference with the SD24's internal components was its use of General Motors model D47 traction motors, as opposed to the GP30's model D57. Up to that time the SD24 offered the most tractive effort of any of EMD's six-axle models; 97,500 pounds starting and 72,300 pounds continuous. 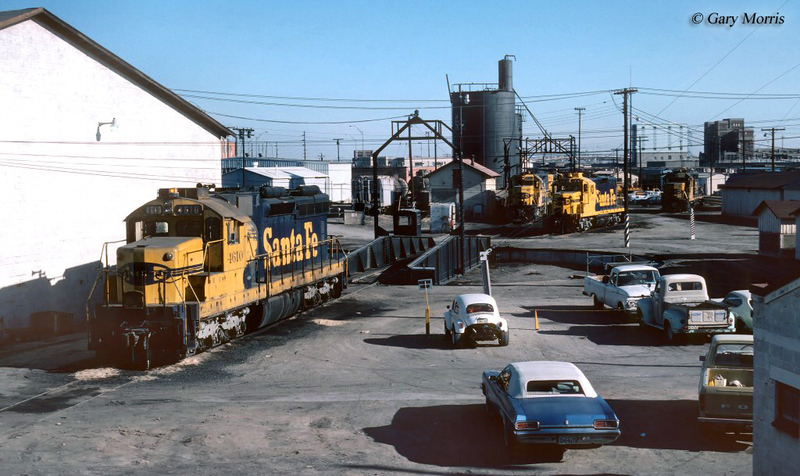 The SD24 was officially EMD's first to feature turbocharging, a concept that actually dated back to 1955 and 1956 in tests by the Union Pacific to equip its own GP9s with the feature to boost their horsepower. These units became known as Omaha GP20s. At the time, the railroad was wanting and needing higher horsepower locomotives to help move heavier freight trains along its main lines west of Wyoming. 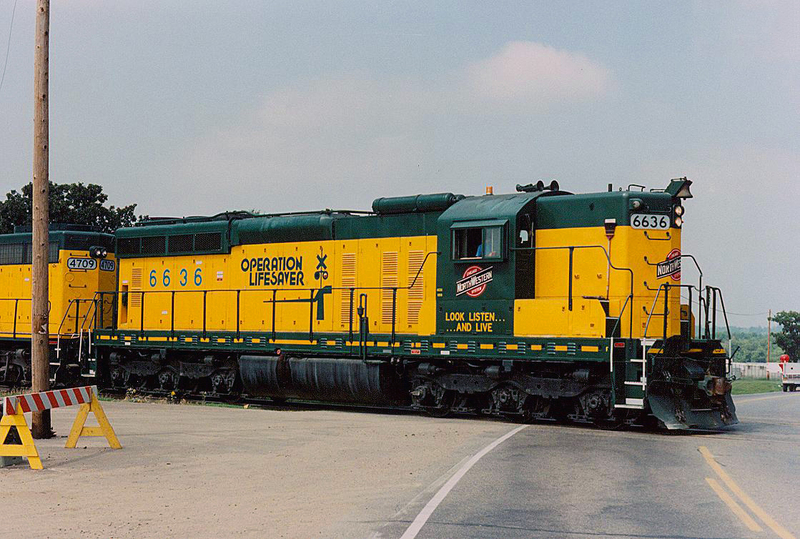 EMD was hesitant to turbocharge its own 567 prime mover but after the successful test by Union Pacific went forward with the concept. The SD24 was the first to be cataloged with the feature and more than a year later in November, 1959 the four-axle GP20 went on sale with a turbocharged 567. Of course, turbocharging was nothing new and certainly not pioneered by EMD. The American Locomotive Company had been turbocharging its road switchers since the 1940s and was so good at it that typically Alco models were very fuel efficient while offering comparable, if not better, horsepower ratings than the competition. 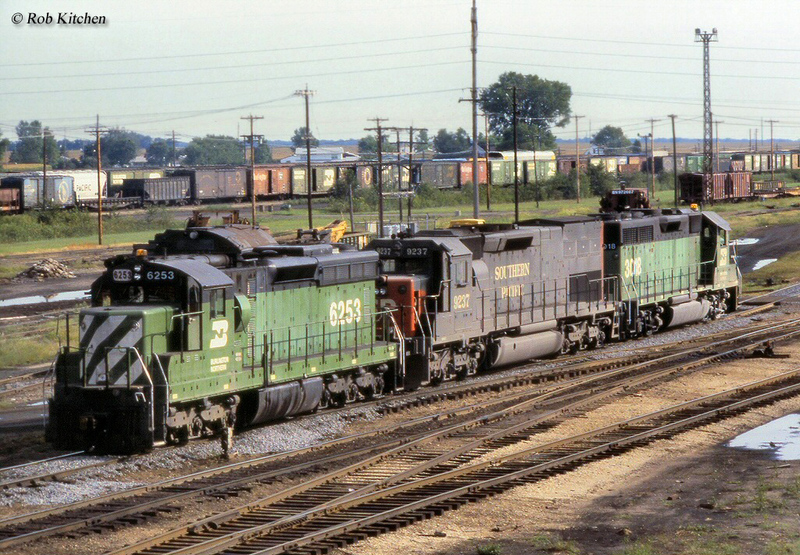 While the SD24 was not as successful as its early sisters it did pave the way for future second-generation six-axle models that would become legendary for their durability and reliability like the SD40, SD40-2, SD45, and others. While the SD24 was offered with an optional steam boiler no railroads ever purchased such for use in passenger service. Additionally, only Kennecott Copper's one unit, #904, did not feature multiple-unit capability (MU). In total, the railroads which went on to purchase the locomotive included the Santa Fe (80, numbered 900–979), Burlington (16, numbered 500–515), Southern/Cincinnati, New Orleans & Texas Pacific/New Orleans Northeastern (48, numbered 2502–2524, 6305–6325, and 6950–6953), and Union Pacific who purchased the only B units (30 As numbered, 400–429 and 45 Bs, 400B–448B). Additionally, EMD's four demonstrators went to UP.